A couple days ago, Otto Perez Molina, recently elected as President of Guatemala; announced that he was willing to decriminalize the commercialization of drugs. According to U.S. authorities, Guatemala has became the transshipment point for more than 75 percent of the cocaine smuggled into the United States since 2005. 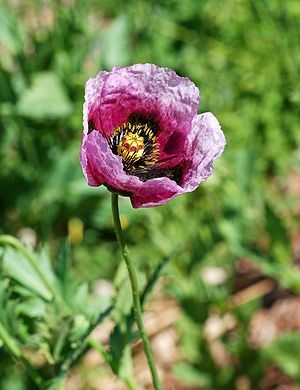 Along with this, the Opium poppy cultivation is already done in large parts of the countryside making the production of Guatemalan heroin a greater and the newest worry for the United States. The country’s elites are already part of this business and the paranoia of crimes that used be a remembrance from Colombia‘s 1990s history seems to be repeating in these Central American countries. Corruption, lax enforcement, and judicial impunity levels in Central America are among the highest of the world. Drug lords and their new and powerful money have been mentioned by many analysts to be already part of the politic and economic elites of these countries. The Central American countries in which this drugs are produced and transported are inhabited by a large majority of people living in the lowest leves of Human Development. If legalized, the trade, production and commercialization of drugs (cocaine and heroine mainly) will be regulated by these governments. Without any doubt, this regulations will enable and create legalized monopolies ruled with the partnership of previous drug lords and government officials. It has not been advocated by any of the political leaders which road would take the legalization of drugs. This is important, because under current legalization procedures it is not the same to get the approval for a new medicine in the market as to get the approval for a new liquor, a new energizing drink or of a new edible product. The history of the legalization (production, trade and commercialization) of items considered by many as drugs and for others as commodities has shown that for as long as a government elite hold the power to legalize it; it was in their power to take the first steps into the acquisition of a monopoly of its trade and production. If we support the complete and absolute free trade of all commodities it is necessary that we do not grant to government an intrinsic right to regulate it. No compromise should ever be done with a government that requires regulation in order to give us legalization. Legalization should result in freedom and not in regulation. The drug trade should be opened to businessmen and entrepreneurs in the freest way possible. The freest way is that of requiring the traders to inform their buyers about all the necessary information about the products they are offering. We may be taking part in a historical moment in which the most important thing are principles. Let us remember that one of the most valuable principles of trade is Freedom; and that one of the most valuable principles of government is to seek that i will Protect Individual Rights and not to regulate their lives. Note: To understand more which are the principles that really matter in this discussion, I invite you to take a look to the video titled: The Drug War in Guatemala: A Conversation with Giancarlo Ibarguen. Previous Post Summer Seminars for You in the U.S. Apply before March 31! The freest way is that of requiring the traders to inform their buyers about all the necessary information about the products they are offering. Required by whom? By the state through a law or regulation? Or by individual buyers? What if the buyer has the money but not the capability of fairly understanding the information the seller provides? Could that be the case of children? This is a very important issue. Thanks for pointing it out. Required by whom? In a capitalist system the “whom” is the individual. As such, these individuals in a specific context will require the information and choose upon that knowledge. In capitalist systems, the government bureaucracy has no role in telling people how to trade. As such, no type of government institution or regulation would be required (No FDA, no Codes or Laws). What if the buyer has the money but not the capability of fairly understanding the information the seller provides? Could you please give me some more context in this regard? One example from a real/fictional case would be great. Best regards and I hope you are doing wonderfully back in Guatemala! Men are all rational but not to the same degree, not at the same time and not all the time. Passions, emotions, instincts, degree of maturity, clarity of ideas, level of intelligence, are all factors that influence what otherwise should be rational decisions. If a drug prevents a person from clearly understanding the effects of buying and consuming more drugs immediately, should a ban be imposed on sellers to impede that they sell more drugs to that person? In this case I am not talking about the state defending a consumer against her or his acts. If the next dose a drug consumer buys leads to a murder, car accident involving third party property damage or violent acts of any form, then the seller of that last dose is also responsible for those effects. This is one case. Children is another. Parents who care about their children being exposed to drugs are responsible for educating them about drug consumption and its effects. A drug seller could try to argument against parent’s ideas to try to sell drugs to kids, but that would be unfair, because of the degree of maturity and lack of experience of kids, so do you think that a ban should be imposed to sellers so they don’t sell or try to sell to children? I guess not but again sellers that try to sell to kids should be punishable some way. Finally, I think it is obvious that if the same explanation is given to all people not all will understand the same (it is human nature, free market and capitalism has been explained for centuries and some won’t never get it). So if the level of understanding a person has about drugs does not seem to be fairly good sellers should not sell or be held partially responsible of the consequences. And a note: I am not advocating for a ban or rule to impose limits to drug commerce in any form. What I am saying is that every one (buyers and sellers) should be held accountable for the foreseeable consequences of their acts. And there is some space for governments there: to help individuals in case a contract (every act of trade is a contract) is not respected or done fraudulently.